A well-written essay can get you into college. Tell the right story and you’ll stand out amongst the competition. That’s exactly what Alex Boulet did. Alex traveled with Rustic Pathways in 2011 on Climbing Kili. His experience was so transformative that his story about it helped get him into the University of Pennsylvania. For his application essay, Alex was asked to: Discuss an accomplishment or event, formal or informal, that marked your transition from childhood to adulthood within your culture, community, or family. Read Alex’s full essay below. I spent the first fifteen years of my life on my tiptoes. I was always the smallest kid in my grade, a permanent fixture in the first row of every class picture. I knew to wait patiently for the others to be in place before climbing to the top of each human pyramid. At the age of 15, I was consistently offered the “under 12 discount”, and the rollercoaster’s height restriction was a constant source of humiliation. I was desperate to grow taller. The summer of 2011, I climbed Kilimanjaro at five feet and 90 pounds. I saw the guide’s incredulous stare and could imagine his thoughts as he watched me approach, “Here comes another kid that we are going to have to Medi-Vac out of here.” Instinctively, I stood up higher on my toes once again. 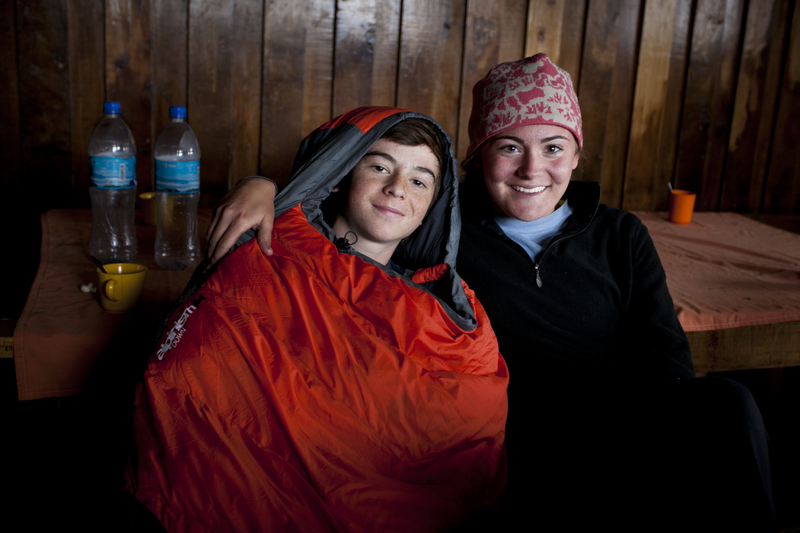 Alex Boulet (left) and another student from his group stay warm during a break from the climb. My mind wandered as I progressed up the peak. Alone with my thoughts, fears and doubts, my oxygen-deprived brain began to reflect upon the holy grail of teenage angst: “Who do I want to be and what do I want to achieve?” I spun from one idea to the next, but my insecurities loomed in the background of every path that I envisioned. I was convinced that my height stood between me and maturity, manhood, and fulfillment. I cannot pretend that the mountain mysteriously gave me insight or that the wind whispered the secrets of the universe into my frostbitten ear. Yet, at 19,000 feet, in the midst of my encroaching delirium, I did come to an understanding that shifted the way in which I perceive myself. In my last stretch of suffering to reach the summit, I realized that height was not a prerequisite for accomplishment, that “little” did not mean incapable, and that “small” did not mean I could not be heard. So, I decided to speak up. When fall came, I entered my first year of high school eager to engage, explore and “dare greatly” as Theodore Roosevelt said when he addressed students at the Sorbonne in 1910. For me, the Debate Club was the perfect outlet. There are over thirty different nationalities in my school and our debates are often influenced and enriched by this diversity. Our Debate Club is like a miniature United Nations: heightened political passions, nationalistic biases, rigid stances, but always rousing conversations. At the 2012 Harvard Model Congress Europe in Brussels and the 2013 edition in Madrid, I proudly lowered the microphone, stood tall and defended my topic in front of hundreds of people. Empowered with confidence, I decided to start a Debate Club for the elementary school students. I enlisted fellow high school debaters to help me introduce the concept to fifth graders and to stage a mock debate. We then invited the students to participate, but they were reticent, intimidated by the “big kids.” I could relate to their trepidation, and I felt that now I could pass on the insight that I gained from my climb to our young recruits: Speak up. Your size will not keep you out of the arena. Your opinions matter. Your voice will be heard. Uhuru Peak, the top of Kilimanjaro, is not the tallest summit in the world. But for just one morning, at sunrise, I was the tallest person on the African continent. Not because I climbed Kilimanjaro, but because I grew up. Alex graduated in May after studying history and consumer psychology at the University of Pennsylvania. He now works at a boutique artist services company in New York that specializes in hosting VIP events. 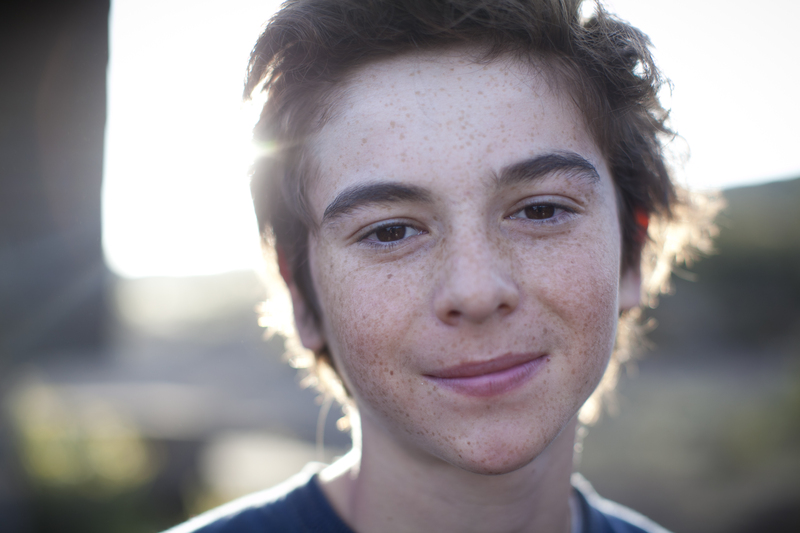 When he enrolled in Climbing Kili, Alex said he wanted to challenge himself with something he didn’t think he could do. “I think the confidence I gained has helped me in every aspect of my life—socially, academically, and now career-wise,” he said. Get more college application essay tips. Interested in an experience like Alex’s next year? Get the gift of an experience this year with Unwrap Rustic.